Marcela Gaviria is a journalist and filmmaker with Rain Media in New York City. 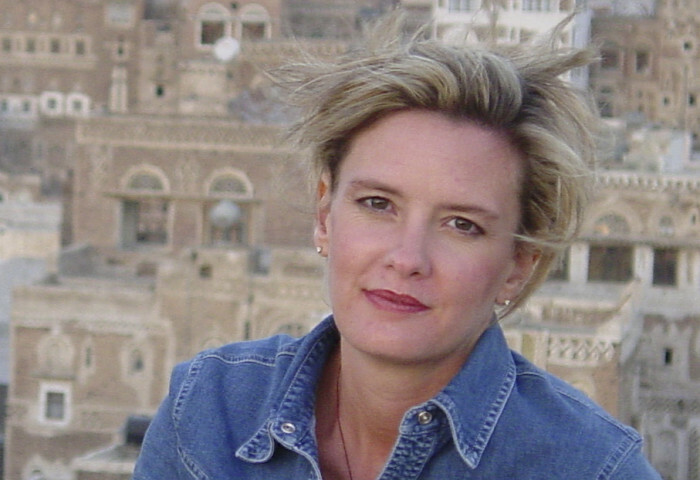 Over the past decade she has produced over 35 hours for FRONTLINE (PBS), covering the rise of Al Qaeda, the wars in Iraq and Afghanistan, the culture of risk taking on Wall Street, America’s heroin epidemic, and the crackdown on undocumented immigrants under the Trump Administration. Gaviria has earned every award in broadcast journalism multiple times, including seven Emmys, three Peabody’s, three Dupont Columbia silver batons, four Writer’s Guild Awards, three Overseas Press Club Awards, a Robert F. Kennedy Journalism Award, and the prestigious George Polk Award for investigative journalism. In 2019, Gaviria’s documentary on the unlawful detention of immigrant teens accused of gang affiliation, The Gang Crackdown, was awarded the Dupont Columbia Gold Baton, the highest honor in broadcast journalism. Gaviria first worked for FRONTLINE in 1994 on the production of Godfather of Cocaine, a film about the drug baron Pablo Escobar. After five years of freelancing from her native Colombia, she returned to FRONTLINE to work on the four part series, Drug Wars. That began a 15-year collaboration with veteran FRONTLINE producer/correspondent, Martin Smith. Together, this now husband and wife team, have produced scores of documentaries including The Pension Gamble (2018); Separated: Children at the Border (2018); Egypt in Crisis (2013); Money, Power and Wall Street (2012); Wikisecrets (2011); The Spill (2010); The Quake (2010); Obama’s War (2009); The Madoff Affair (2009); Gangs of Iraq (2007); The Storm (2005); Private Warriors (2005); The Choice (2004); Beyond Baghdad (2004); Truth, War and Consequences (2003); Kim’s Nuclear Gamble (2002); In Search of Al Qaeda (2002); Looking for Answers (2001); Saudi Time Bomb? (2001); and Medicating Kids (2000). Independently Gaviria has produced some of FRONTLINE’s most hard hitting films, including The Gang Crackdown (2018), A Subprime Education (2016), Chasing Heroin (2015) Firestone and The Warlord (2014); The Retirement Gamble (2013), The War Briefing (2008); and The Medicated Child (2008). Gaviria obtained her BA from Brown University and her MA from the School of International and Public Affairs at Columbia University.